Plan your trip to Thunder Valley to see the Bristol Spring Race with PRIMESPORT, the Official Travel Partner of Bristol Motor Speedway. 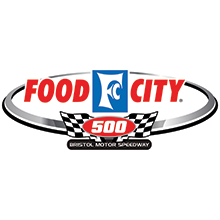 Packages for the Food City 500 include hotel accommodations, 2020 race tickets, souvenirs, transportation and more. Choose the best option for you and stay in Bristol or Knoxville for a weekend of exciting NASCAR racing. Get your Bristol Spring Race package today from PRIMESPORT, the Official Travel Partner of Bristol Motor Speedway. Let PRIMESPORT handle your travel needs so you don't have to worry about a thing. Bristol Motor Speedway, located in Bristol, TN is the home of two NASCAR Monster Energy Cup Series races. Since opening in 1961, it has also become home to one of the biggest NASCAR races of the year, the Bristol Night Race. Bristol Motor Speedway is the fourth largest sports venue in America and eighth largest in the world with a seating capacity of 160,000. Bristol hosts a race in April, a week or two after The Masters, depending on the year, and a second race in August. The .533 mile short track is one of the most popular on the NASCAR circuit due to the increased amount of paint swapping going on throughout the race. Each race at Bristol is 500 laps and previous race winners include Richard Petty, Darrell Waltrip, Dale Earnhardt, and Jeff Gordon.